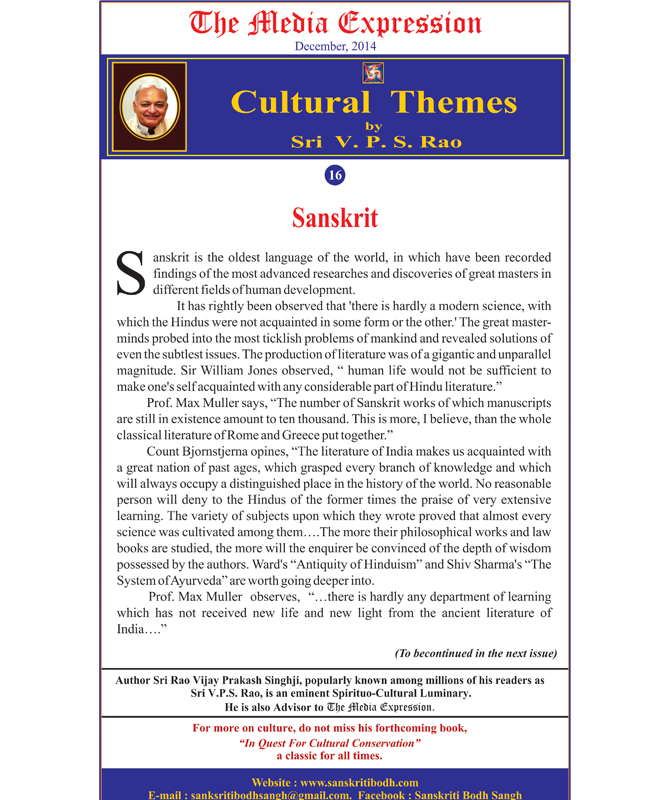 Cultural Themes by Sri V.P.S. Rao – 16. Sanskrit : Sanskrit is the oldest language of the world…. ‘there is hardly a modern science, with which the Hindus were not acquainted in some form or the other…., The great master-minds probed into the most ticklish problems of mankind and revealed solutions of even the subtlest issues…. The number of Sanskrit works…. more than the whose classical literature of Rome and Greece put together…. And much more. The Media Expression : December, 2014.